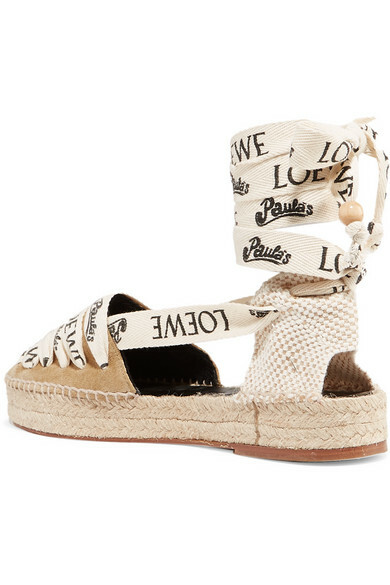 Loewe's logo-stamped espadrilles are part of the Spanish label's third collaboration with Paula's Ibiza. 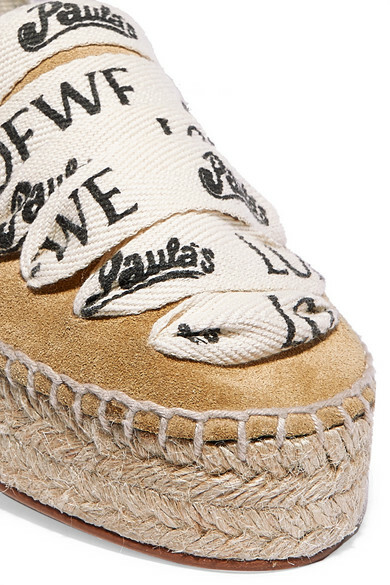 This lightweight pair is made from breathable linen and suede and grounded by summery jute platforms. 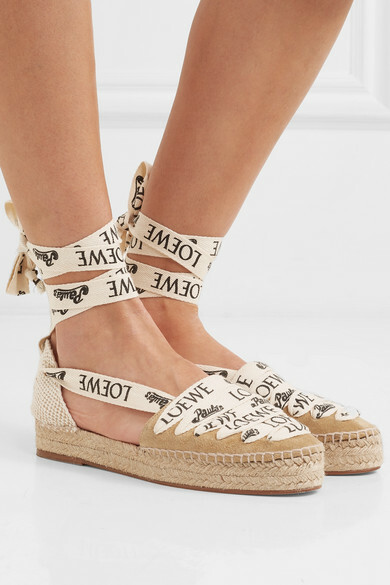 Wear them on vacation and in the city. 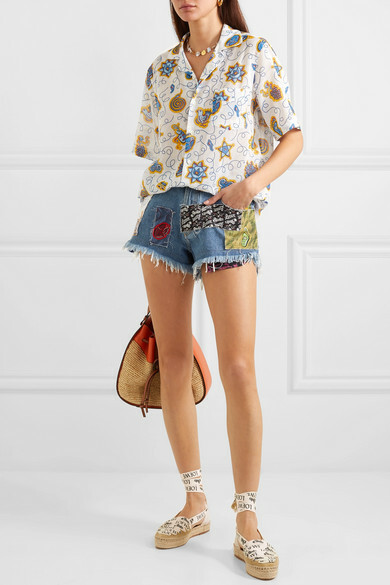 Shown here with: Loewe Shirt, Loewe Shorts, Loewe Shoulder bag, Chan Luu Necklace, Kenneth Jay Lane Cuff.